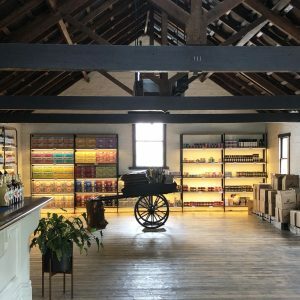 While neither asylum nor jail, the century-old beverage factory Billson’s Brewery still adds character to the region’s tourist destinations. 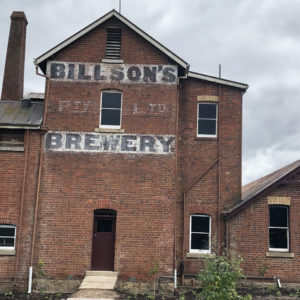 Billson’s Brewery is owned by Melbourne couple Nathan and Felicity Cowan, who sold their St Kilda home about 18 months ago and purchased the Beechworth property. Joining the couple, who are expecting their first baby, are Nathan’s parents, who agreed to co-fund the restoration. “The first thing we did was stop the water from getting into the building and remove the 400-odd pigeons that were living on site,” Billson’s Director Nathan Cowen told Brews News. “We then began to fix up the gutters and patch all the leeks and try to strip it out to be as original as possible. 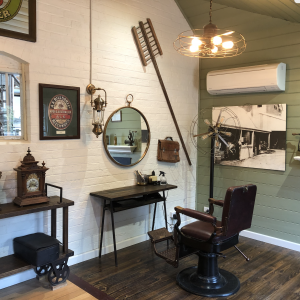 The complex is currently made up of a cellar door and cafe, brewery museum, production facility, underground speakeasy bar, barbershop and carriage museum. The Cowans hope to build a function centre, kitchen and accommodation in the future. It’s taken 18 months to get this far and there is much more to go, but the brewery is now commissioned and beers are on tap at the bar. Cowan told Brews News that the brewery was such a significant part of the town, with such an amazing history, that it needed to be restored. Cowan said that many local residents have visited the new facility telling stories of their grandparents who used to work there. 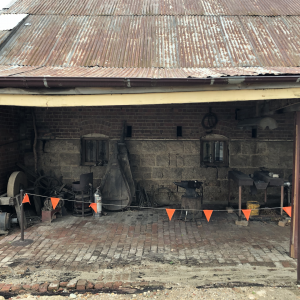 Until two weeks ago, Beechworth was home to 95-year-old Frank Whyte, who worked as a boiler operator in the 1960s. 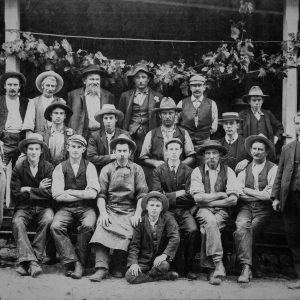 Billson’s Brewery was founded by Englishman George Billson, who made his way to Australia via the California gold rush of the mid-1800s. Billson first owned a pub in the neighbouring town of Wooragee before purchasing Ovens Brewery at 4 Last Street, Beechworth in 1865. Renaming the brewery for his namesake, the Englishman expanded operations to the current site at 29 Last Street circa 1872. The decision to expand to 29 Last Street was mostly due to its spring. “The first thing they did was dig an old red-brick well, which was dug by Chinese gold miners,” Cowan explained. The original well continues to service the site and will soon be visible to the public following a renovation and lights to illuminate the well. Much of the brewery’s history has been carefully compiled by the Cowans with the help of an historian. Cowan said that through the archives they were able to determine that the earliest record of a Billson’s beer was in 1865 – on tap at the local Hibernian Hotel, that is still operating today. Billson’s was renamed A. A. Billson. after George Billson, Sr passed away in 1886. His son, Alfred Arthur continued operations, trading under A. A. Billson’s Anglo-Australian Brewery Company before merging with two other rural breweries to become Border United Co-operative Breweries Ltd in 1911. In 1914 the co-operative was liquidated and its operations transferred to Murray Breweries Pty Ltd during which the Ecks soft drink company was also established. By the 1950s, Murray’s ceased to manufacture alcoholic products but continued to produce small-batch cordials, which are still manufactured on the original bottling line, manufactured in 1920. There are currently 21 different flavours of cordial and 15 types of soft drink in production. 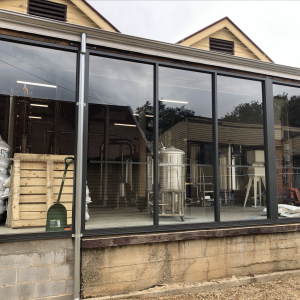 Cowan told Brews News that Murray’s stopped alcohol production due to rising freight costs, pressure from some of the bigger breweries in Melbourne and because of a temperance movement that swept through Beechworth. It’s been 70 years since the brewery has had a liquor licence, but one was granted to the Cowans on Boxing Day last year. 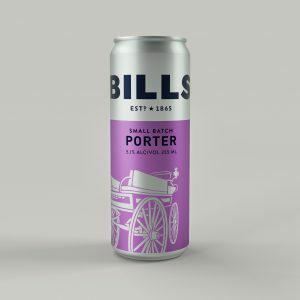 Since then, the brewery has been in production under the guidance of Billson’s brewer and distiller Tony Paull, who joined the Cowans 12 months ago. 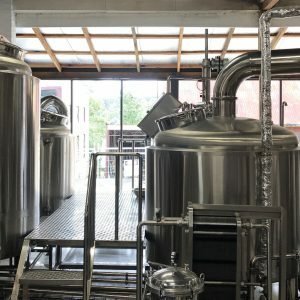 The brewery is a 10hL Chinese manufactured brewhouse with five 20hL fermenters. Cowan said that the brewery is currently producing 10,000-litres per month. Standing next to the brewery and in full-view of Billson’s visitors is a single column still and two pot stills, which Cowan said will first produce gin, then vodka, spiced rum and then whisky. 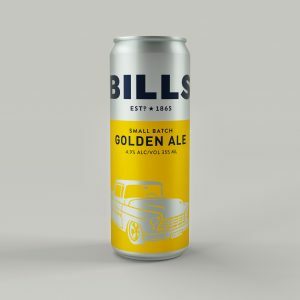 Currently on tap at the underground bar is Billson’s new core range, which includes a lager, pale ale, golden ale, porter, dry apple cider and hard ginger beer. 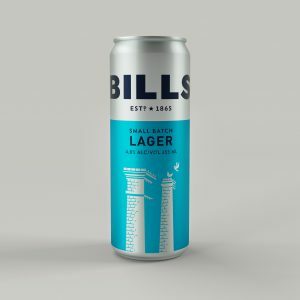 In addition to its core range, Cowan and Paull have been working from an old brewer’s diary to produce another four Billson’s original beers. “We found four original labels that we want to recreate from the late 1800s as accurately as possible,” Cowan explained. Cowan said that they will also be bringing back Murray’s two non-alcoholic beers. 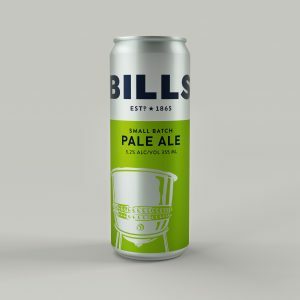 When Billson’s beers are ready for packaging, what’s known as the ‘craft can 30’ canning line from US-based manufacture ABE is already installed. Cowan said that there have been several challenges along the way. “Being a rural business, freight is expensive, which makes distribution an additional hurdle,” he explained. He said that being a small town, it’s been hard getting the message out that the brewery is back up and running. The quiet, residential street has also proved a challenge for the Cowens, who have struggled to get their liquor licence and extend their evening trading hours. 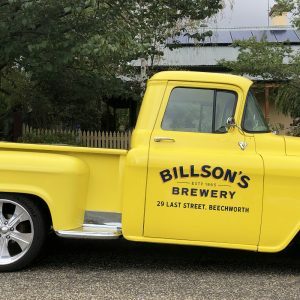 Billson’s Brewery is located at 29 Last Street, Beechworth VIC 3747. Brewery openings are presented by Spark Breweries and Distilleries. Read more: How to start a brewing company: Part One.